This question is about the Command Line Developer Tools that are usually installed with xcode-select --install and updated via a software update from the Mac App Store (at least until macOS 10.13). I use the developer toolchain on a daily basis and it has always worked and updated without issues. 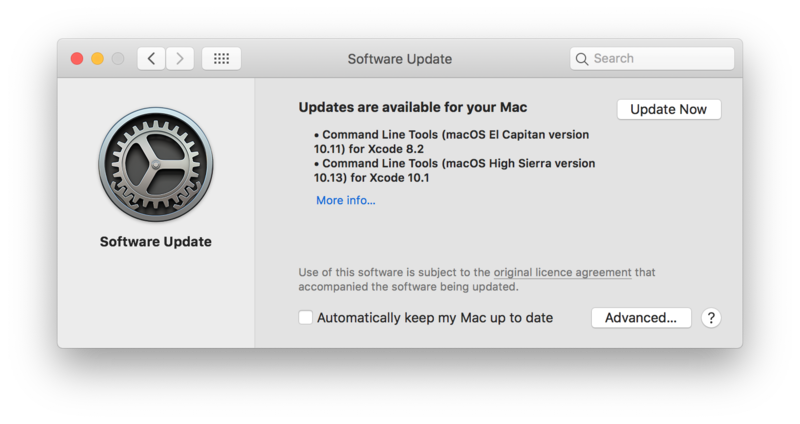 Today I've updated my mac from High Sierra 10.13.6 to Mojave 10.14.1, and I've lost the ability to update the Developer Tools. After the update I've executed a terminal command that relies on the developer tools being installed. It was a command to update Homebrew, although I don't think that the specifics matter, as I believe that any task that tried to access the developer tools would have triggered the same error message. The phrasing was new (maybe), but I thought that it was caused by the usual need to re-install the Developer Tools after some macOS updates. Can’t install the software because it is not currently available from the Software Update server. I've tried several times, to no avail. It gets always stuck. It literally suggested me to install the updates for macOS 10.11 and 10.13. I have no idea why. I closed the preference without installing, and as I said it hasn't shown them again. There is also no update available in new Mac App Store. Is this a known issue? Is there any way to resolve the problem? Of course I can download the Dev Tools for macOS 10.14 installer from https://developer.apple.com/download/more/. Before installing them manually, though, I'm wondering if there is anything that's broken with the system. I faced the same problem. The way I have solve the issue is given below. I got the new xcode 10.1 from App Store. Though the problem existed. Then I run xcode-select --install which didn’t work. I update my homebrew by brew update. Than I run sudo xcode-select --reset. after that I was able again to run commands like git etc. Uninstall Homebrew completely (see FAQ). sudo xcode-select --reset (thanks for the idea @Boka!). Install Homebrew again (see brew.sh). I'm the original poster. In the end I resolved the problem by installing the tools manually, with the installer I downloaded from https://developer.apple.com/download/more/. Not the answer you're looking for? Browse other questions tagged macos terminal software-update mojave . How to install command line developer tools in Yosemite? How to compile with Command Line Tools for Xcode after deleting the Xcode.app application bundle? 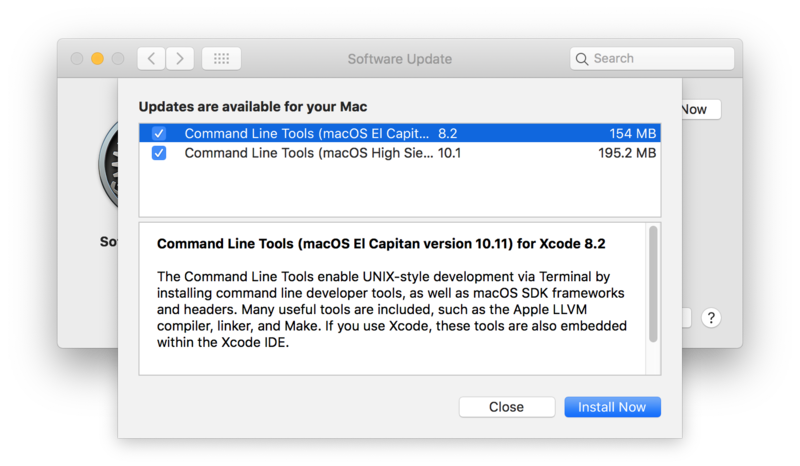 High Sierra Xcode: which tools come with Command Line Tools installer? macOS Mojave update - what was updated?